XPLS™ Series One and XPLS Series Two curved ESL panels final version are being shipped. For some, the passion for music can go to "extremes." However, what is extreme to one music lover seems sensible to another. To those who enjoy movies, an entire room (not to mention the cost), can be devoted to have the " theater experience" at home. To the music lover, the our electrostatic loudspeakers is the best and most cost effective way to have the "concert experience" at home. Our ESL speakers have a large dynamic range and lighting quick transient response, but what separates our speakers from others is their ability at resolving inner detail and realistic reproduction. 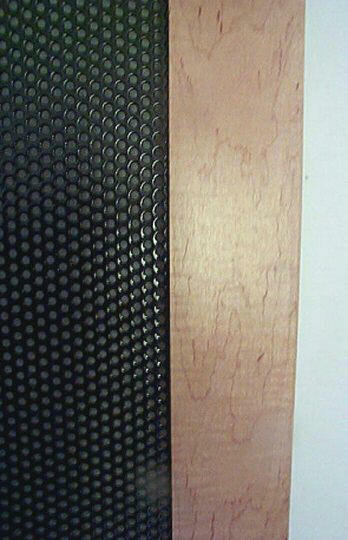 Our Electrostatic Speakers and Panels (ESL) are a Dipole Focused Image Geometry™ and combines solid technical and engineering with innovative design techniques based on the real-world operating conditions of electrostatic speaker design. 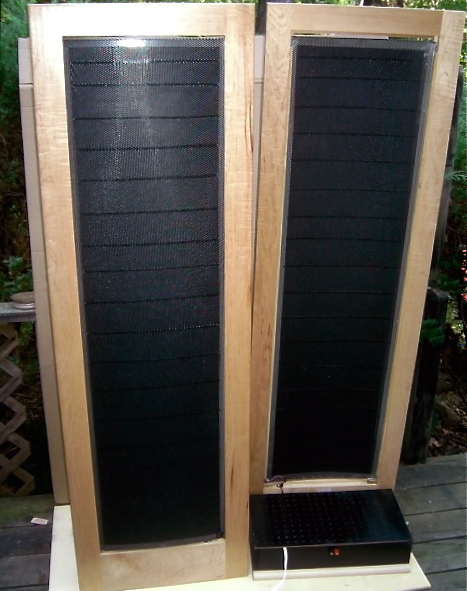 Our Electrostatic Speakers and Panels and available associated hardware is found in only top strata of the most esoteric and costly audio systems. 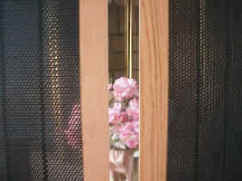 The diaphragm of our Electrostatic panel, is thinner than a human hair, and only .5 thousands of an inch thick. Its mass is so small, that at all the audio frequencies it can be considered to be almost a mass less loudspeaker. As a result, the diaphragm responds instantaneously to the music signal, can effortlessly and accurately reproduce perfect transients, this is the electrostatic sound people are talking about. 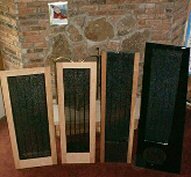 All of our Electrostatic Speakers Panels are completely assembled, ready to be hook up to your or our hardware. The stators of the panels are made from 16 gauge (.060") cold rolled steel, then powder coated with a special triple coating process similar to the Martin Logins electrostatic panels.